The Google Play store has no shortage of camera apps, with filters, effects, and all kinds of bells and whistles. CameraAce, as its name suggests, is one of these apps, but in addition to the perks we just mentioned, it also has the potential to make your photo collection easier to manage. Basically, the application presents you with a set of themes – the user picks one of them prior to snapping a photo, and then the image is processed in a specific way. For example, all photos captured with the "Food" preset enabled can be automatically given an HDR filter and a Polaroid frame. CameraAce can even save photos in different directories, depending on what theme has been applied. In addition, CameraAce lets you compose collages of multiple images and slideshows with music playing in the background. The user is also free to draw notes right on their photo, be it using a finger or an S-Pen, assuming they're using a Galaxy Note device. 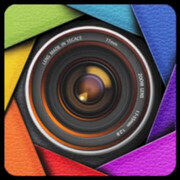 CameraAce is a free application so anyone with a smartphone or tablet running Android 4.0 or newer can give it a try. The link for "CameraAce for free from the Google Play store" is leading to XDA website .. I think PhoneArena needs to fix it ! !